It was hard to summarize a book that literally abounds with insights, quotes, strategies, and knowledge. As the name implies, you’ll get introduced to the greatest writings and secrets of the wealthiest and how you can get there. This book or let’s say a collection of insights is a blessing in disguise for those of you who want to reach new heights and explore new depths. 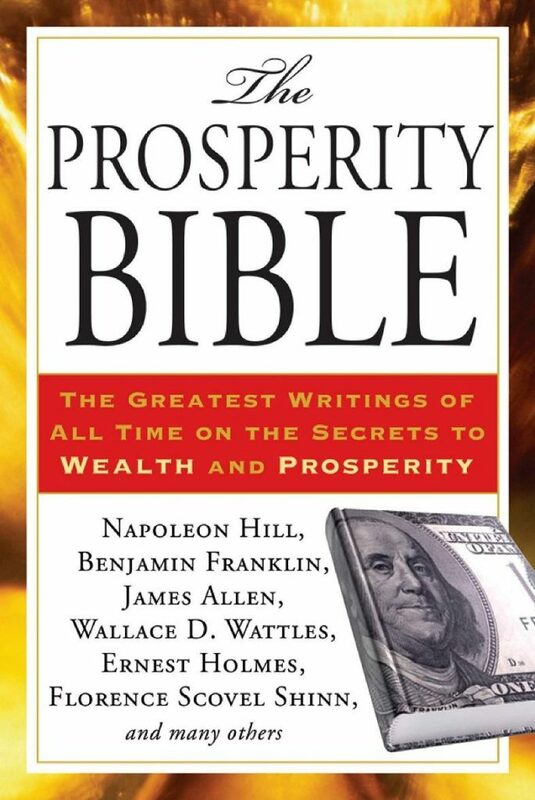 Who Should Read “The Prosperity Bible”? And Why? Despite the fact that we believe this “The Prosperity Bible” has all the hallmarks of a great broad-range classic – it’s suited only for those who are fed up with the mediocre life. If you lust for more influence and prosperity, then this definitely should be your go-to guide. Napoleon Hill is well-known around the world and hailed for his discoveries and inquiries in the realm of self-help and personal development. Regarded as the founding father of this 20th-century self-help philosophy, he excelled as an author and entrepreneur in some sense. The science behind getting rich has been on everyone’s lips since the beginning of time. Before we go any further, it’s vital to point out that there is nothing wrong in wanting to improve your financial status. Some people get castigated for being too ambitious, but the craving for a more abundant, flamboyant lifestyle is by all means, admirable. As an addition to that, one can clearly see that life is nothing but a battleground for the mind, soul, and body. You must address their needs, in order to create this perfect synergy or circle in which none is better than the other. When it comes to the formula, there are some laws which if followed could facilitate the transition from rags to riches. Funny thing about rich people is that upon diving into the subject, Napoleon discovered that they are just about as casual as you are. This literally stigmatizes the popular opinion that rich people are gifted and have to do very little to accrue wealth. It all requires more than a steady stream of income or assets – but that’s a story for another day. For a person to get to a position of power and prosperity, it must acknowledge the fact that the real battle unfolds from within. Creation or intuitiveness is by all accounts an essential asset in building this inner aura. If the principles you espouse and deem legit provide you with enough room to exhibit your talents, then you are on the right path. If you like to take the fast-track to success, Napoleon advises you to undergo a shift in perception. So, here how it works. Every time a stream of thoughts pops up telling you are not worth it, you need to neglect them and focus on a positive outcome. In all honesty, this is no picnic, and it’s regarded as an uphill battle by every stretch of the imagination. To counter this, the universal energy or thought radiates an unconfined sense of creativity, which if embraced fully could shore up your business and activities. If you lean on the Universal law, bad thoughts will not become a distant memory, but they will lose their grip. Remember that life is from within outward, not vice versa, which means you’re the wielder of power. You can give to every man more than you take from him. If by some stretch of the imagination you decide to bring more value to people on the receiving end, and cash-in later – you’ll be much more pleased with the results. In other words, if you have people working for you; it’s imperative for you to absorb more in cash value than you actually pay them in wages. Last but not least, let’s unpack the much-talked-about phenomenon – Formless Substance. As the name vaguely implies, it’s a downright process, that rarely happens in front of your eyes. It’s designed to absorb the creativity that permeates the environment and adjusts according to time and circumstances. Some companies and organizations, find it very challenging to excel under the umbrella of the Formless Intelligence. And it’s even harder to conduct this process in a harmonious manner. To make sure that the rope is not overly stretched, one must go through some basic ground rules. Before we dive into that, let’s just say that all of it can be summed up in one word – gratitude. It’s needless to say that the more grateful you feel, that more likely it is for you to find the harmonious undertone. When it comes to getting rich, it is a must for you to get into the right frame of mind. Everyone has desires, so pulling that off will not suffice. In the magnetic field of energies, one must take hold of the needle of the compass and direct it towards a goal-specific mental plan. If you look up and down, you’ll find that the divine mind is the absolute truth. When a person is courageous enough to embrace that kind of ideas into its mind, an incredible force emerges and strengthens your position in the world. It’s clear as day, that there’s no such thing as an impossible endeavor, in the providence of God. To put it simply, desire is the living reflection of the Universal impulse. Over the course of thousands of years, people have developed faith and trust towards the unseen that cannot be grasped through the senses. It’s a state of mind, that prompts us to envision a much brighter outcome, than the one presented before us. Apart from the lessons, there are other instances where prosperity is and should be scrutinized. First off, you have to accept the relative reality, and then you are given the go-ahead to do the drilling. The optimist is right, and the pessimist is right. Your judgment is predicated upon your view of the world and your surroundings. Therefore, it’s impossible to ascertain which side is more realistic, because our mind determines our reality. If your mindset is predominantly tilted towards optimism, you’ll do much better in life. That’s not rocket science and has been proven over and over again. Even the secret of success revolves around optimism, and mindset above all else. The truth is – with so many active discussions going on regarding success, it’s difficult to separate the actionable from the inaccurate. 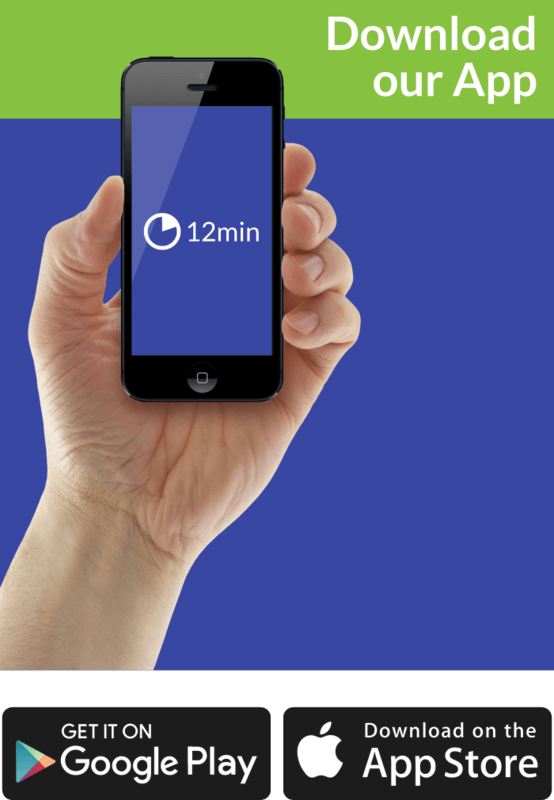 Truthfully, only a small number of people are eligible to give advice – Napoleon is one of them. Practically, only the people who put the accent on individuality and reject the collective blame could eventually flourish in the market of ideas. Bear in mind that the mere nurturing of dormant and latent Individuality makes it harder to express oneself or exhibit positive behavior. On top of that, when our lucrative careers are on the line, people find it hard to lead the flock and rise to the occasion. As you can see, the formula around prosperity always revolves or leans on a person’s competence. And sustaining and advocating for free expression on behalf of the individual is what lies at the end of the battle. Basically, this is the primary ingredient that enables success and prompts productive discourse. It’s no wonder why society glorifies people in all walks of life who have achieved extraordinary results in their sphere of knowledge. However, as people, we tend to live by the excuse that these brilliant individuals had a flair while we weren’t born that lucky. As a response to the misleading reality, Napoleon Hill takes sides with those whose Interest and Desires are manifested in action. Enthusiasm is also among the things that usually predicts success in the workplace. If you add time to all of these elements, you pretty much get the accurate picture on how to achieve success and prosperity. If we take the whole human history and existence into consideration, it’s pretty obvious that the ultimate goal is growth and evolution. Life is dynamic in every shape and form, and one cannot put it in a static mode, even at will. Stagnation is the ultimate sin and a paradox that cannot be accomplished, ever. Even if you decide not to do anything, growth and development will still take place. When it comes to prosperity, the feeling or the impetus for acquiring knowledge is the reason behind every action. Knowing that in order to earn respect, you have to undertake certain types of activities is both liberating and frightening to those who might get the short end of the stick. In this case, resorting to pressure and fear will do you no good. The mere notion of rejecting personal responsibility for your actions is by all accounts the worst-case scenario. With that in mind, one must bring its ingenuity into line with the know-how acquired during a certain period of time, in order to overcome the hurdles down the way. For instance, an athlete gets ready for their matchday by going to the gym or on the pitch and doing all sorts of exercises. Physical and mental training is needed in times of crisis or when you are compelled to play by someone else’s rules. Anyways, in moments of stress and excitement, one must put its emotions aside and act reasonably. In the end, our actions and mindset will determine whether we are up for the challenge. Last but not least, Napoleon tries to divulge enough information about the impact of the subconscious mind and how it affects our lives. In his words, the subconscious elements mainly reflect the desires of the heart, not those of the mind. So, it would be imprudent to neglect its influence over our lives especially due to the fact that the subconsciousness is triggered without command or decision. It would be foolish enough to believe that attaining stature in society is one of those things that can be regarded straightforward. The truth is, you have to sacrifice some things on your part, in order to climb up the ladder of prosperity. At this point, it is vital that you push and allocate time and energy to obtain more knowledge and not merely work for money. Growth is the only thing you should truly care about in order to ensure prosperity on the long haul. Once you begin to work on yourself, there’s no stopping or taking a break. It’s beyond doubt that you will have troubles to overcome, and issues to solve but that mustn’t be used as an excuse. The Prosperity Bible truly is a breathtaking work composed of stories and insights that will help you elevate your position in society. It’s one of those that will not gather dust on the bookshelf, to say the least. Keep reading, and keep growing!